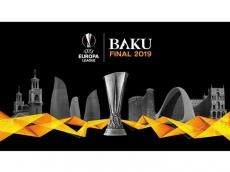 The UEFA representatives have started their fourth working visit to Baku within the preparations to the final match of the Europa League to be held at the Baku Olympic Stadium in 2019. Report informs citing the official website of AFFA that UEFA's 40-members work staff will get acquainted with the stadium, mobility, fan zone, hotels, as well as volunteering, security and other issues during the visit. At the same time, exchange of views will be held within the visit. The visit will last till September 14. Notably, the final match of the Europa League will be held on May 29 next year.